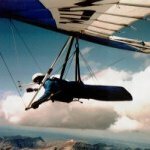 US Hawks Hang Gliding Association • View topic - Onward! Hello fellow hang glider pilots! With this imaginary bottle of champagne, I do smash it on the symbolic bow of this ship/forum and christen it as being post worthy. Currently this is a private affair, but that may change in the future. Now, abandon the life boats - and board the ship! May I request permission to come aboard? Congratulations on turning a Yahoo Group into an actual club!! I would like to join, but I think it would be proper to offer founding memberships to your existing Yahoo Group members before accepting applications from the general public. Also, there's a fair amount of customization that you can do on your forum when you have time. You can look around at other club forums to get ideas. Again, congratulations, and keep looking ... up!!! I'm not sure how quickly I will move with things since I may be quite busy with other things. Now, admittedly, I had forgotten about the wholly hand-grenade. And I know you'll make the very good point that the other party will hurl it if the cute bunny begins to act fierce. Well, if worst comes to worst, let's hope they count to 4 or 5 (not three). First step - Research the meeting minutes.